Every time I look at the photos of the Vespatour I feel better! Being able to view the places I visited thanks to Google maps, so that I can geo-localize each photo, gave me a different perspective on what I’ve seen riding around Italy. The fifth gallery of the tour is now online: from Monterosso al Mare in the Cinque Terre to Marina di Massa and Colonnata, where I discovered the delicious Cioccolardini. In the meantime the exhibition at the Iper is over. 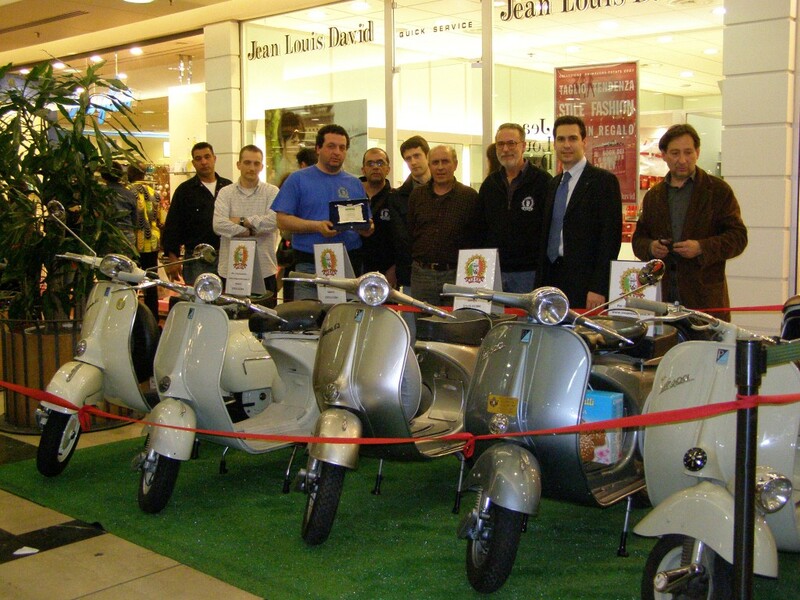 On last saturday the mall director gave the Vespa Club Como a plate to celebrate the event.